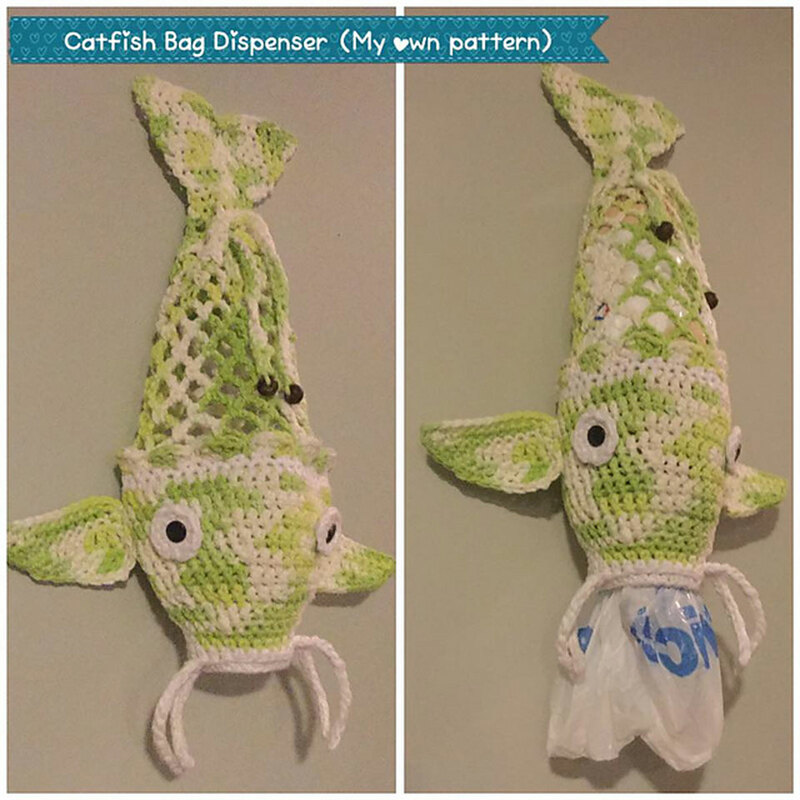 Taken from: Alicia Doiron's Ravelry Store "Catfish Bag Dispenser" - This handy little guy is sure to hook you - hook, line, and sinker! 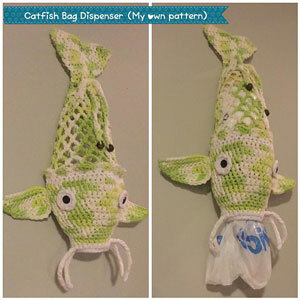 Perfect for holding and dispensing all of your plastic bags, and adorable while doing it! This design is available for purchase from the Ravelry website. Remember to purchase the pattern by following the link provided on this page, as it will not be shipped with the yarn. Size US I crochet hook (or size needed to obtain gauge) is required but not included. Gauge: 35 sts and 4 rows over 4". Yarn Shown: Bernat Handicrafter Cotton Solids, which we do not currently carry. We would recommend using Berroco Pima 100 as a substitute. $10.00 -- Kit price including yarn only (no book or pattern).